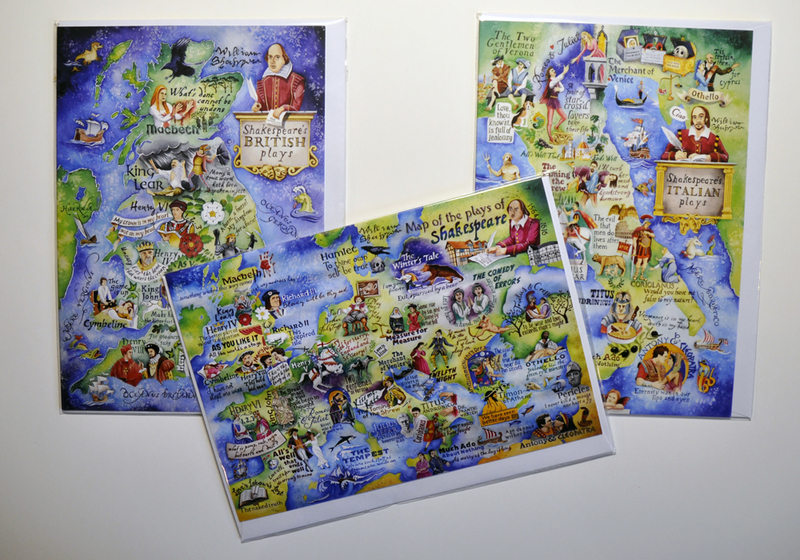 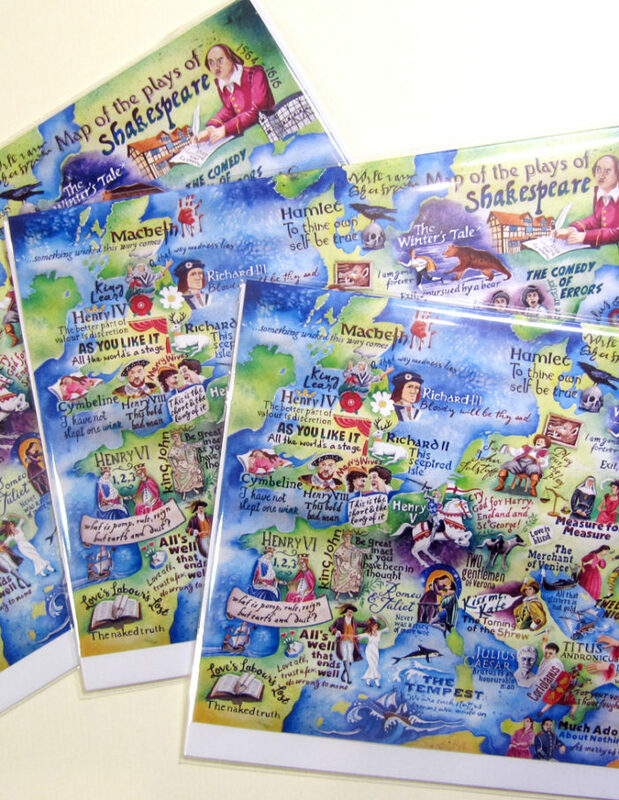 View basket “The Shakespeare triptych – 3 greetings cards” has been added to your basket. 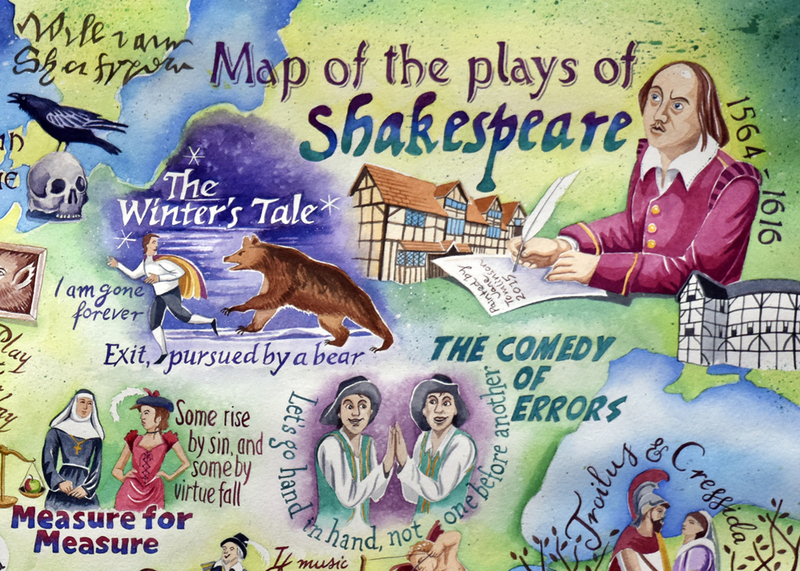 Like Shakespeare, I was lucky enough to be born and bred in Stratford-upon-Avon, so I was brought up on a diet of The Bard. 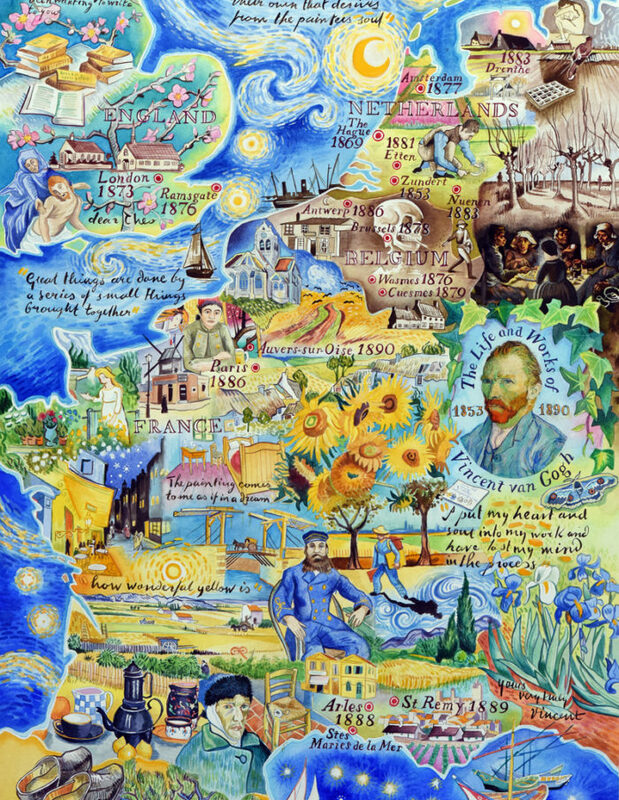 My admiration for my home town’s greatest son began to spill out in late 2015 with a number of paintings celebrating his genius. 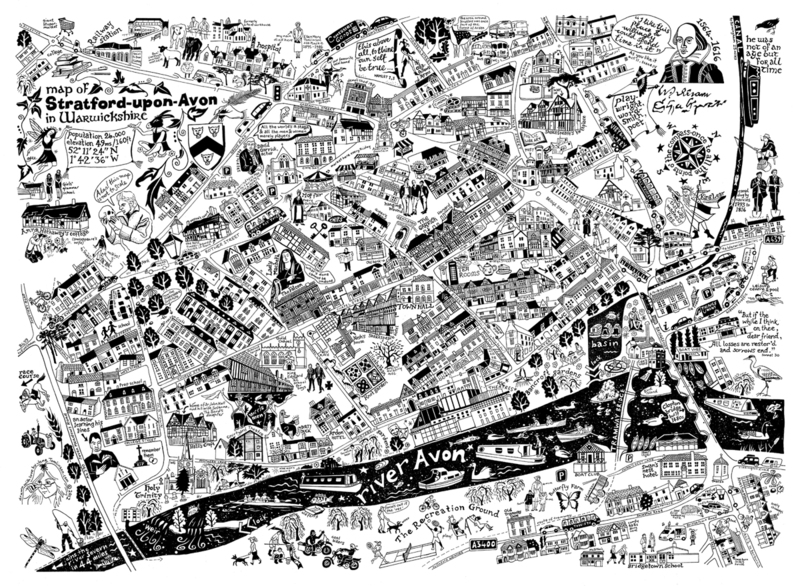 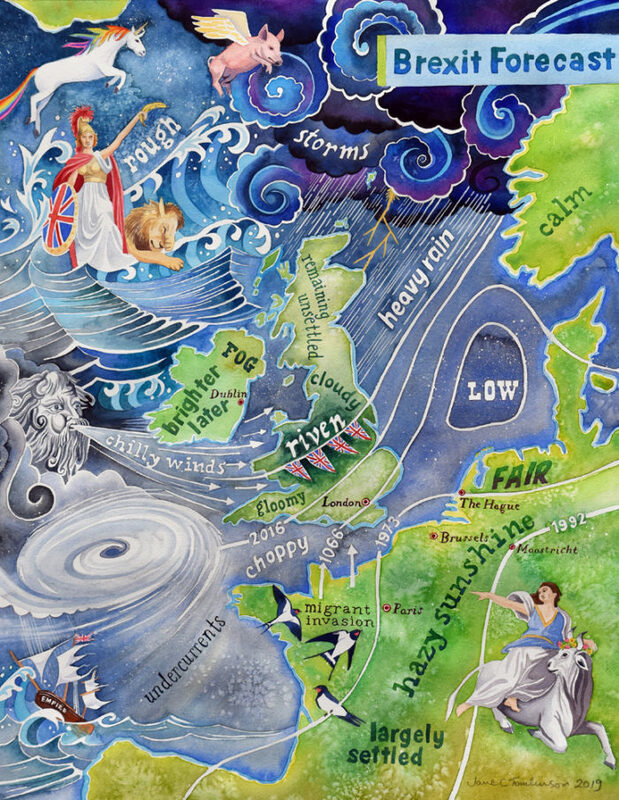 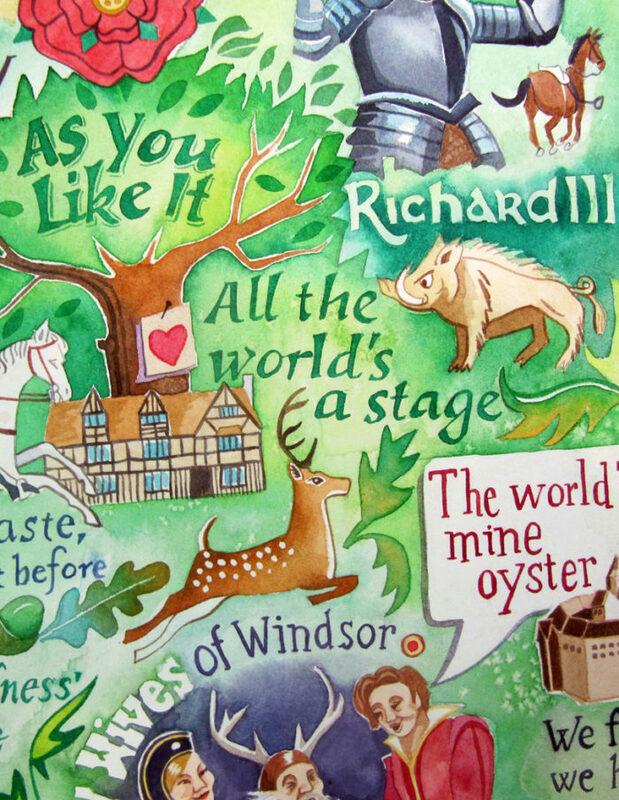 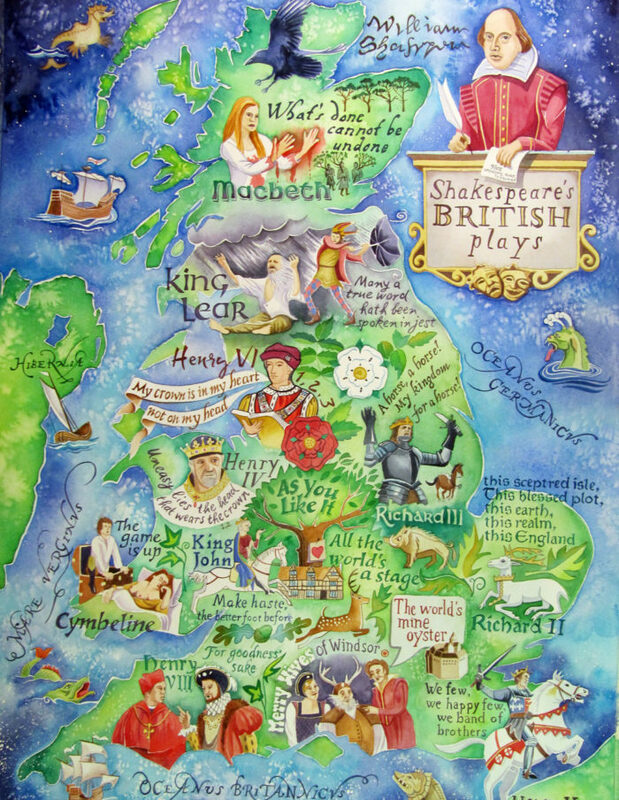 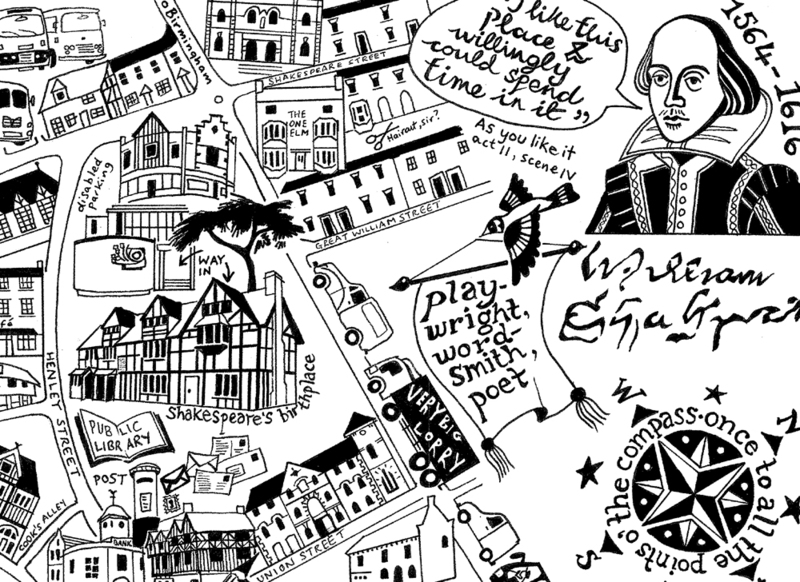 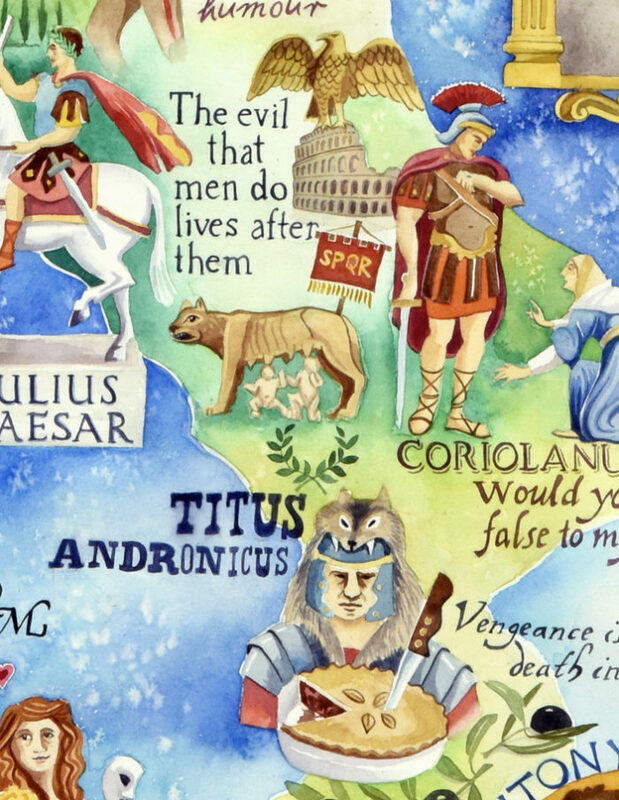 I had already hand drawn a map of Stratford-upon-Avon, and I wondered whether it was possible to paint a map of all Shakespeare’s plays in their approximate settings, so I tried it, and it was! 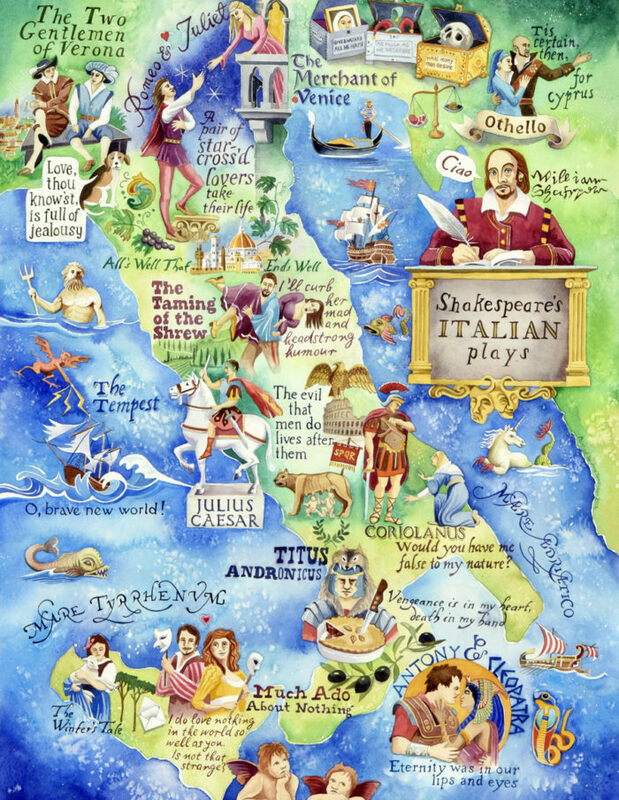 I also did one of the British plays and the Italian plays, just because it was fun. 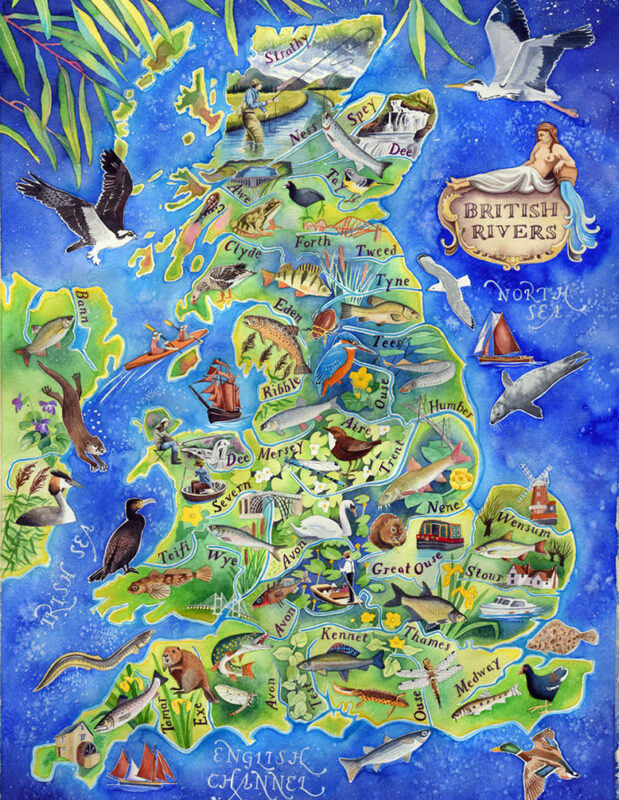 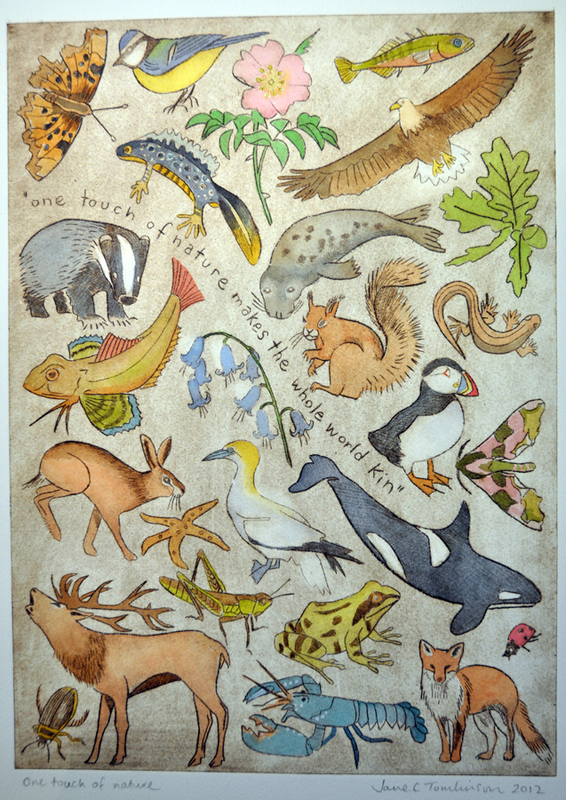 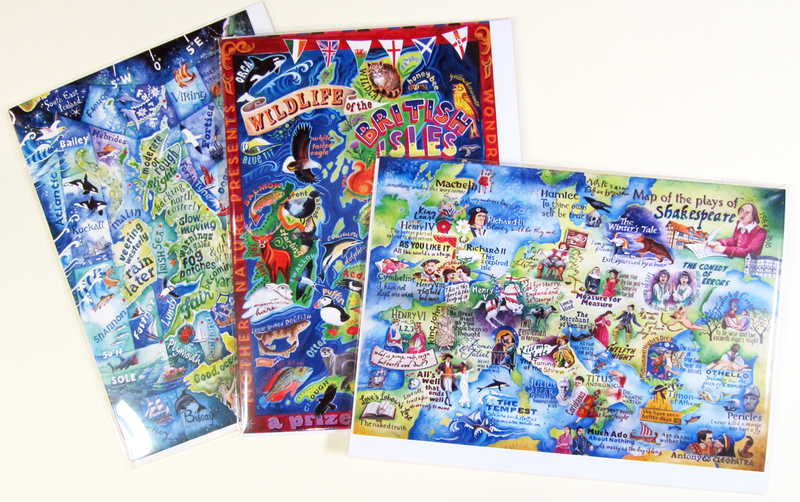 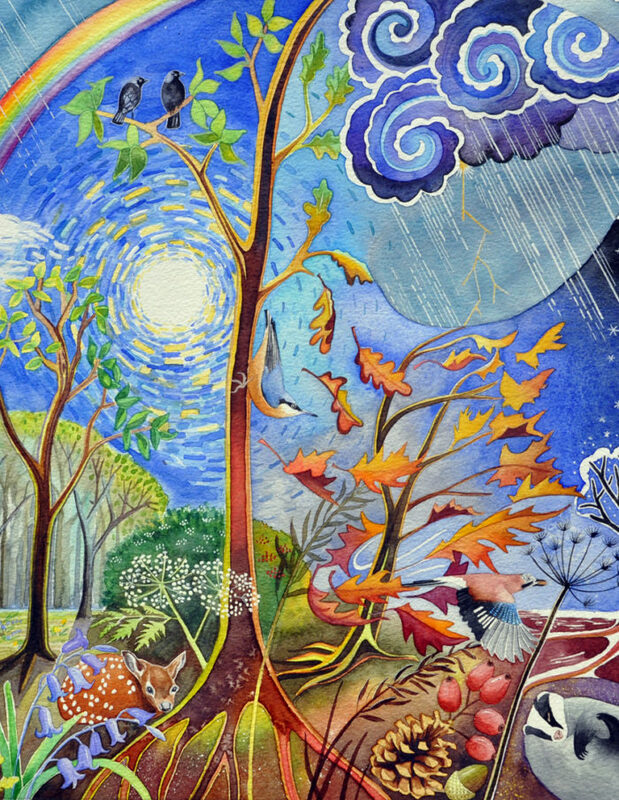 I have posters of these paintings as well as tea towels and greeting cards with these paintings on. 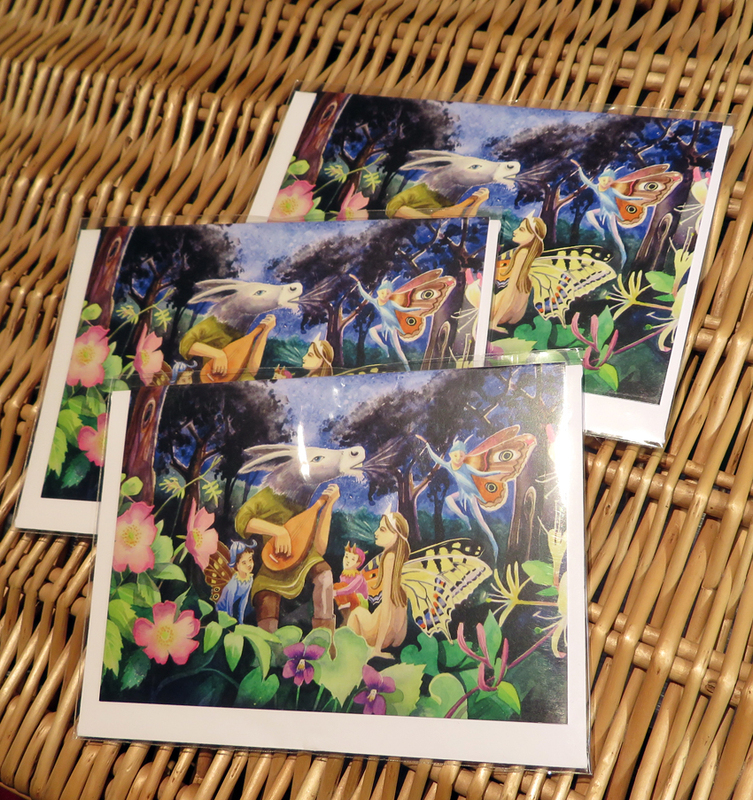 Cards come in multipacks to give you the best value. 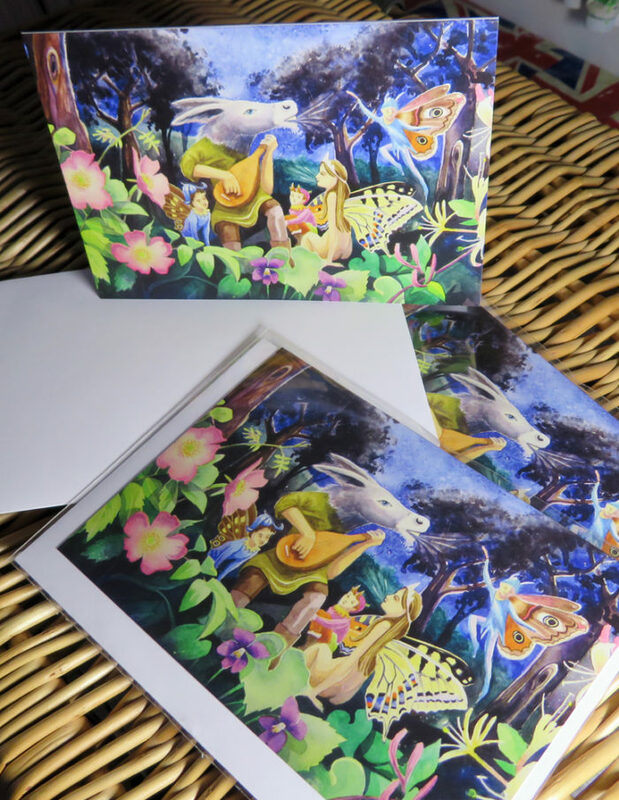 The cost of postage and packing to UK addreses included in the price, but if you’re not in the UK, please contact me and I’ll get a price to post items to you, wherever you are in the world. 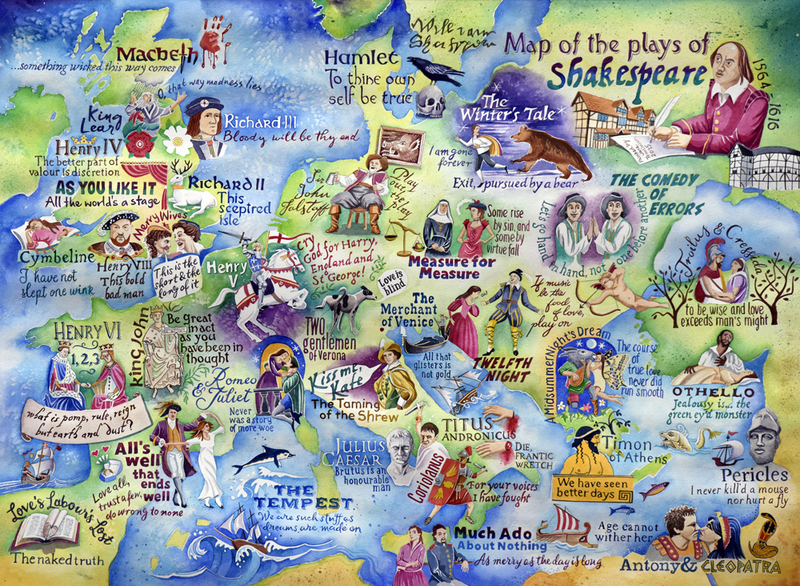 Shakespeare’s popularity is (rightly) global!